Whether you are teaching this story in middle or high school, these worksheets will work for you! This work for chapter two is meant to be used during and after reading. Feel free to use these as you like with your classes, and enjoy reading The Pearl. Chapters 4-6 Close Reading Notes and Questions--will be linked when completed, and eventually will be a bundle! Follow me for updates and new products for your MS or HS English classroom! 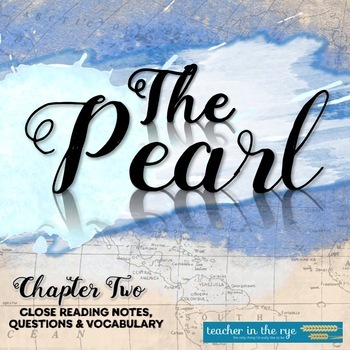 ⭐ The Pearl Pre-Reading: Purpose, Theme, Author Background & More!